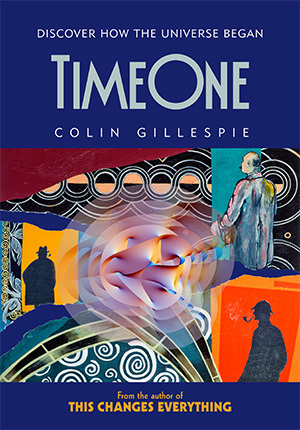 Comprehensive in scope, consistently accessible, and entirely fascinating (even more so on a second reading), Time One takes us back to the first instant of time the emergence of the Universe moving one century, one theory, one imaginative leap after another in five Parts: The Case History sets out three thousand years of scientific, historical and philosophical perspective. The Cosmic Clues turns 47 of science’s and philosophy’s most troubling problems into a would-be detective’s best evidence. The Apprehensions transcends mere logic and reason by using Einstein’s thought experiment to create the impossible. The Way of it All puts the puzzle together, pointing to a new Theory of Everything that makes it all make sense. From Here to Eternity turns our attention forward to what might be, what could be, what will be, once we see that it really happened this way . . . This is the ultimate mystery. This book brings a different approach to cosmology. That approach is simply to begin at the Beginning. The reader may be surprised to hear that something so seemingly obvious is different, but we’ll soon find it is, and that it’s easier said than done! This is the holy grail of science, the physical conceptualization of Time Zero. In one sense it’s the shortest story ever told. The entire incident occurs in no time at all. But of course there’s much more to it than that. Discovering the very Beginning is cast here as a kind of detective story. By definition, nothing can be said about anything before the Beginning. There’s nothing to be said. There was nothing before the Beginning. So how can we go about identifying it? What can we say about it? Where should we look to find anything to say? This is, to say the least, uncharted territory. Many have gone looking for it and so far none have come back with a map. We’ll take a different approach. Without pushing the analogy too far, we’ll use the detective story as a familiar paradigm for digging out the details of a puzzling incident in the past.